Standard equipment on Ignite K3. Includes internal fuel pick-up and cap. Vinyl cap for petcock valve. Original OEM fuel tank for a wide range of Margay and many other brands from the 70's, 80's and early 90's. 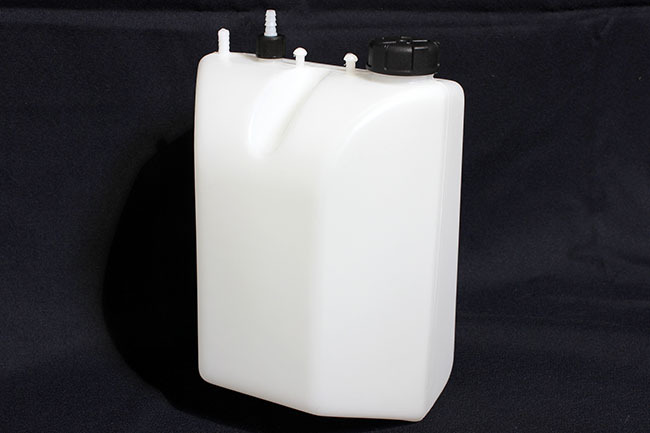 Fuel Catch Tank, 6 oz. KG 9.5 liter fuel tank that utilizes a air flow connection, so in which suction is consistent. Replacement knob for quick release tank, black (Righetti). KG 3.5 liter quick release fuel tank. Features a air flow connection for consistent suction.